Supertech Garage Door Service caters to residential homeowners and commercial business owners locally and in surrounding areas. We are fully licensed and insured to offer customers our professional expertise with affordable rates. Supertech Garage Door Service technicians are the best in the business and are more than qualified to perform the services we offer by having advanced training, years of experience, and remarkable skills. In addition to having the best in the business on our team, we utilize top-of-the-line products and equipment exclusive to licensed professionals to ensure our customers receive nothing less than maximum results. At Supertech Garage Door Service we do more for our valued clients than executing superior workmanship, we also incorporate high morals, work ethics, friendly customer service, and more. Supertech Garage Door Service includes garage door opener services for residential homeowners and commercial business owners including; installation, repair, and replacement. There are four primary types of garage door openers typically used; they are Belt Drive, Chain Drive, Jack Shaft, and Screw Drive. 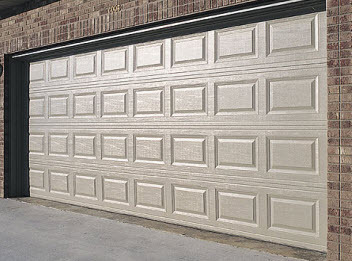 Our experts are well versed in the types of garage door openers that can be used in any garage. No matter your preference, or which is most ideal for your garage door, Supertech Garage Door Service professionals are proficient. 1) Screw Drive Garage Door Openers: Screw drive garage door openers are engineered to maneuver along a steel rod using a lifting mechanism. This garage door opener is very a dependable and powerful option and it has a notable lifespan. The screw drive garage door opener is often paired with a one piece garage door unit which is more compatible. The operation is moderately quiet. 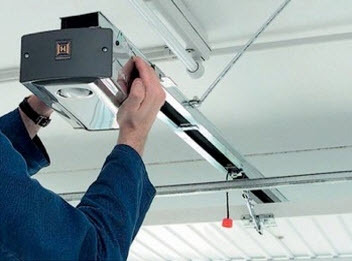 2) Jack Shaft Garage Door Openers: Garages that have an architecture design featuring exceptionally low, cathedral, or obstructed ceilings often require a jack shaft garage door opener and a more basic garage door opener will not accommodate the space. 3) Chain Drive Garage Openers: Commonly used with the use of a metal chain to generate the opening and closing of the garage door involves the chain drive garage door opener. They do not have the quiet operation benefit but they do exceed with attributes such as being economical, reliable, and durable. If your budget is the primary concern, chain drive garage door openers are ideal. 4) Belt Drive Garage Door Openers: For customers who need the extreme quiet, the belt drive garage door is the quietest option. They are proficiently designed to be highly durable and are very reliable with premium performance as well as having a long lifespan. With such phenomenal benefits, however, this option is probably the most pricey. 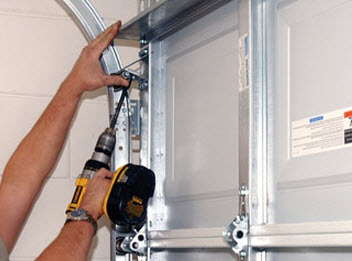 For those looking for the most efficient and quiet operation, belt drive garage door openers are ideal. If you are looking for replacement, installation or even repair services for your garage door openers, contact Supertech Garage Door Service and allow our professionals to assist you. They will complete the task right the first time and do so as quickly as possible. Call Supertech Garage Door Service today for your garage door opener services.